Grapevine is a quarterly subscription-based magazine about sacred circle dance. It is based in the UK and distributed to subscribers around the world. 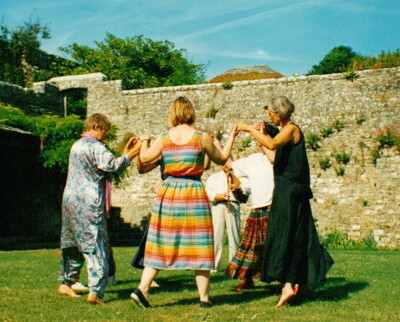 circle dance venues and events, and about circle dance resources. Circle dance teachers, musicians and dancers around the world subscribe in order to keep in touch with others, share ideas and experiences, learn about many aspects of dance and about the countries from which circle dances come. Grapevine is produced and published by a team of volunteers from the circle dance network. Contributions – articles, letters, poems, pictures, advertisements – are always welcome via the editor.